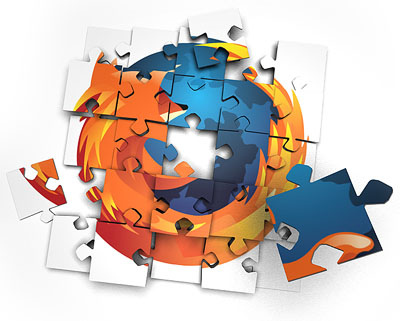 Below is list of 10 Firefox addons which according to me are must have Firefox addons. NoScript: The best security you can get in a web browser! Allow active content to run only from sites you trust, and protect yourself against XSS and Clickjacking attacks. Web of Trust – Safe Browsing Tool: Would you like to know which websites you can trust? The Web of Trust (WOT) add-on is a safe surfing tool for your browser. Traffic-light rating symbols show which websites you can trust when you search, shop and surf on the Web. Adblock Plus: Annoyed by adverts? Troubled by tracking? Bothered by banners? Install Adblock Plus now to regain control of the internet and change the way that you view the web. SearchStatus: Display the Google PageRank, Alexa rank, Compete ranking and SEOmoz Linkscape mozRank anywhere in your browser, along with fast keyword density analyser, keyword/nofollow highlighting, backward/related links, canonical links, WHOIS, robots and more. ReloadEvery: Reloads web pages every so many seconds or minutes. The function is accessible via the context menu (menu you get when you right click on a web page) or via tab context menu. FireShot: FireShot creates screenshots of web pages entirely, selected area or visible area. You can uloaded to Picasa, Flickr, ImageShack etc, Saved to disk as PNG,GIF,JPEG,BMP and can do more whith screenshot. Video DownloadHelper: The easy way to download and convert Web videos from hundreds of YouTube-like sites. This works also for audio and picture galleries. Its purpose is to capture video and image files from many sites. Read It Later: Save pages to read later with just one click. When you have time, access your reading list from any computer or phone, even without an internet connection! Yoono: All your social networks and instant messaging in one easy to use app – it’s the #1 downloaded social networking add-on for Firefox. Get all your updates, update your status and share across Facebook, Twitter, LinkedIn, YouTube & more – all at once!